Campbell-Montalvo, R. and H. Castañeda. 2019. “School Employees as Healthcare Brokers for Multiply-Marginalized Im/migrant Families.” Medical Anthropology 39(1). Campbell-Montalvo, R. 2019. “Linguistic and racial re-formation of indigenous Mexicans’ languages and races in Florida Heartland K-12 schools.” Proc Ling Soc Amer 4. 50:1-9. Campbell-Montalvo, R. Under Review. “Language Measurement Error in K-12 Schools: Linguistic Re-formation of Student and Parent Languages in Heartland Schools during Registration and Reporting.” American Educational Research Journal. Campbell-Montalvo, R. Under Review. “Measuring, Using, and Reporting Race/Ethnicity at K-12 Schools in the Florida Heartland.” Race Ethnicity and Education. Smith, C., H. Wao, G. Kersaint, R. Campbell-Montalvo, P. Gray-Ray, E. Puccia, J. Martin, R. Lee, J. Skvoretz, and G. MacDonald. Under Review. “The Connection between Social Capital Acquired through Professional Engineering Organizations and Persistence.” Journal of Engineering Education. Wao, H., C. Smith, G. Kersaint, R. Campbell-Montalvo, R. Lee, J. Martin, E. Puccia, J. Skvoretz, J. Ware, and G. MacDonald. Under Review. “Influence of Social Networks on the Decisions of Women and Underrepresented Minorities to Pursue Engineering Undergraduate Degrees.” Journal of Higher Education. Ware, J., J. Skvoretz, G. Kersaint, R. Campbell-Montalvo, C. Smith, E. Puccia, J. Martin, R. Lee, G. MacDonald, and H. Wao. Under Review. “Pursuing an Engineering Major: Social Capital of Women and Underrepresented Minorities.” Studies in Higher Education. Campbell-Montalvo, R. “Agency in Young Students of Color: Resisting Racism in Florida Heartland Elementary Schools.” To be submitted to Transforming Anthropology. Campbell-Montalvo, R., H. Wao, C. Smith, G. Kersaint, J. Martin, E. Puccia, R. Lee, J. Skvoretz, and G. MacDonald. “Perceptions of Fit in Engineering Undergraduate Programs and Academic Performance and Persistence.” To be submitted to Journal of Engineering Education. Campbell-Montalvo, R. Researching the New American Indians of Florida: Migrant Farmwork, Language, and Education in the Heartland. To be submitted to University of Florida Press. Campbell, R. 2017. “Final Research Report: Evaluations and Recommendations for a Heartland County School District.” Submitted to a Heartland County’s Stakeholders. Kersaint, G., C. Smith, R. Campbell, G. MacDonald, J. Skvoretz, and R. Lee. 2018. “The Effect of Social Capital and Cultural Models on the Retention and Degree Attainment of Women and Minority Engineering Undergraduates. Report of Findings from Survey 3.” Submitted to NSF with custom versions provided to each of the eleven participating universities. Kersaint, G., C. Smith, R. Campbell, G. MacDonald, H. Wao, and R. Lee. 2017. “The Effect of Social Capital and Cultural Models on the Retention and Degree Attainment of Women and Minority Engineering Undergraduates. Report of Findings from Survey 2 and Interview 1.” Submitted to NSF with custom versions provided to each of the eleven participating universities. Kersaint, G., C. Smith, R. Lee, G. MacDonald, H. Wao, S. Brookins, and R. Campbell. 2016. “The Effect of Social Capital and Cultural Models on the Retention and Degree Attainment of Women and Minority Engineering Undergraduates. Report of Findings from Survey 1.” Submitted to NSF with custom versions provided to each of the eleven participating universities. Campbell-Montalvo, R. “Addressing the Undercounting of Indigenous Mexican Students in Florida: From School Registration to State Reporting.” Tertulia Talk hosted by El Instituto: Institute of Latina/o, Caribbean, and Latin American Studies. November 28, 2018. Campbell-Montalvo, R. “The Importance of Bridging the Gap between Home and School for Diverse Students.” Twitter Chat sponsored by the UConn Collaboratory for School and Child Health and the Neag School of Education using #schoolequity. October 10, 2018. Campbell-Montalvo, R. (Co-chair). “Ethnography in the Florida Heartland: Applications for Educators to Improve Equity for Minoritized Groups.” Applying Anthropology in Education: Addressing Equity from K-College (National Association for the Practice of Anthropology) panel at the Society for Applied Anthropology Meeting 2019; March 19–23. Portland, OR. Puccia, E. (Co-chair), C. Smith, R. Campbell-Montalvo (Co-chair), and G. Kersaint. “How Universities Can Support Women and Underrepresented Minority Engineering Students: Applications of Interviews with Undergraduates.” Applying Anthropology in Education: Addressing Equity from K-College (National Association for the Practice of Anthropology) panel at the Society for Applied Anthropology Meeting 2019; March 19–23. Portland, OR. Campbell-Montalvo, R. “Raciolinguistic Registrations: How Context and Ideology Shape Student Language, Race, and Ethnicity Categorizations Schools Record and Use.” Raciolinguistic Repertoires in Chicanx and Latinx Lives panel at the American Anthropological Association Meeting 2018; November 14–18. San José, CA. Campbell-Montalvo, R. (Discussant). Applying the Anthropological Imagination: Adapting Anthropology for Resistance and Resilience panel. American Anthropological Association Meeting 2018; November 14–18. San José, CA. Campbell-Montalvo, R. “Linguistic and Racial (Re)formation of Indigenous Mexicans in the U.S.: Evidence and Implications for K-12 Schools.” Globalizando la inclusión y la equidad: una (otra) mirada a las políticas educativas panel. Latin American Studies Association Meeting 2018; May 22–26. Barcelona, Spain. Mayberry, M., M. Hughes Miller, C. Smith, R. Campbell-Montalvo, and H. Wao. “Academic Climate, Social Networks and Identity Management among Transgender and Gender Non-Binary STEM Students.” Paper to be presented at The Society for the Study of Social Problems Meeting 2019; August 9–11. New York, NY. Hughes Miller, M., C. Smith, M. Mayberry, R. Campbell-Montalvo, and H. Wao. “Queer in STEM in the South: Locating Undergraduate Narratives of Inclusion and Marginalization.” Paper presented at The Southeastern Women’s Studies Association Meeting 2019; March 7–9. 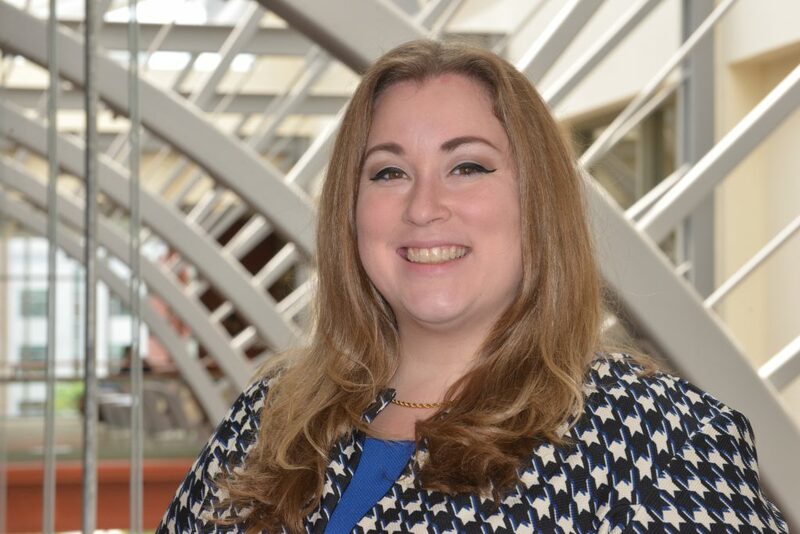 Oxford, MS.
Campbell-Montalvo, R. “The Need to Reevaluate the Use and Purpose of Home Language Surveys: Current School Practices Undermeasure Indigenous Mexican Languages.” Paper presented at the Georgetown University Round Table 2019 at Georgetown University; March 29–April 1. Washington, D.C.
Campbell-Montalvo, R. and H. Castañeda. “The Importance of Language Representation as School Employees Broker Health Care for Multiply-Marginalized Migrant Families.” Paper presented at the Georgetown University Round Table 2019 at Georgetown University; March 29–April 1. Washington, D.C.
Campbell-Montalvo, R. “Linguistic Re-formation of Indigenous Mexican Student and Parent Languages in Florida Heartland Schools.” Paper presented at the Anthropological and Applied Linguistics session at the Linguistic Society of America Meeting 2019; January 3–6. New York, NY. Campbell, R. “(Mis)Defining Language in the Educational Institution: How Heartland Schools and the Florida Department of Education (Mis)Serve Students by (Mis)Categorizing Linguistic Identity.” Paper presented at the American Anthropological Association Annual Meeting. November 29–December 3, 2017. Washington, D.C.
Campbell, R. “Analyzing Classroom Discourse: The Construction of (Sub)Standard Speech and Linguistic Variance.” Paper presented at the Minority Education and Community Development session. Society for Applied Anthropology 72nd Meeting. March 27–31, 2012. Baltimore, MD. Campbell, R. Analyzing Classroom Discourse: The Construction of (Sub)Standard Speech and Linguistic Variance.” Paper presented at the American Anthropological Association Annual Meeting. November 16–20, 2011. Montreal, Quebec. Campbell, R. and M. Chavez. “An Investigation of the Extent to which Dialect Awareness is Taught to Future Educators.” Paper presented at the Society for Applied Anthropology 71st Meeting. March 29–April 2, 2011. Seattle, WA. Campbell, R. “The Requirement of Standard English in U.S. Schools: Set-Up or Set-Back?” National Association of African American Studies & Affiliates 2010 Conference; February 8–13. Baton Rouge, LA. Campbell, R. “Incongruence in Theory and Practice: Black English Vernacular as used in Society and Education.” Paper presented at the International Society for the Social Studies Conference. February 25–26, 2010. Orlando, FL. Campbell, R. “Incongruence in Theory and Practice: Black English Vernacular as used in Society and Education.” Paper presented at the Association for Humanist Sociology Conference 2009; November 13–16. New Orleans, LA. Campbell-Montalvo, R., C. Smith, M. Hughes Miller, M. Mayberry, and H. Wao. “Navigating Undergraduate STEM Spaces as LGBTPQIA+: The Use of Micro-Defenses to Fit In.” Society for Applied Anthropology Meeting 2019; March 19–23. Portland, OR. Campbell, R. and H. Castañeda. “School Employees as Healthcare Brokers for Multiply-Marginalized Im/migrant Families.” UConn Collaboratory on School and Child Health Encore Conference. September 24, 2018. Hartford, CT.
Kingsbury, V., R. Campbell, and C. Smith. “The Impact of Fit Cultivated by Language on the Degree Retention and Attainment of Women and Underrepresented Minorities in Undergraduate Engineering Programs.” Frontiers Undergraduate Student Research Conference. April 14, 2018. Storrs, CT.
Kersaint, G., C. Smith, G. MacDonald, R. Lee, H. Wao, J. Skvoretz, K. Reeves, J. Martin, R. Campbell, E. Puccia, J. Ware. “The Effects of Social Capital and Cultural Models on the Retention and Degree Attainment of Women and Minority Engineering Undergraduates.” National Science Foundation EHR Core Research PI Meeting. September 25–26, 2017. Alexandria, VA.
Campbell, R. and H. Castañeda. “School Employees as Healthcare Brokers for Multiply-Marginalized Im/migrant Families.” UConn Collaboratory on School and Child Health Encore Conference. September 18, 2017. Hartford, CT.
Campbell, R. “Diversity and Educational Inclusion and Equity in Migration: Reification, Resistance, and Transformation of Linguistic, Racial, and Ethnic Identity—An Applied Approach.” Southern Sociological Society Meeting 2017; March 29–April 1. Greenville, SC. Kersaint, G., Smith, C., Wao, H., MacDonald, G., Lee, R., Skvoretz, J., Reeves, K., Martin, J., Campbell, R., Puccia, E., Ware, J. “Inclusion and Equity of Engineering Diversities: Social Capital, Cultural Models, and Success of Women and Minority Engineering Undergraduates.” Southern Sociological Society Meeting 2017; March 29–April 1. Greenville, SC. Kersaint, G., C. Smith, G. MacDonald, R. Lee, J. Skvoretz, K. Reeves, J. Martin, R. Campbell, S. Brookins. “Using social capital and cultural model theories to guide research on the retention and degree attainment of women and minority engineering undergraduates.” American Educational Research Association Annual Meeting 2016; April 8–12. Washington, D.C.
Campbell, R. “Reifying and Resisting Constructions of Race, Ethnicity, and Language at the Elementary School Level in a Nonmetropolitan New Destination.” American Anthropological Association Meeting 2015; November 17–22. Denver, CO.
Campbell, R. “Examining Linguistic and Cultural Experiences of Students in a Florida County’s Schools.” Society for Applied Anthropology 74th Annual Meeting. March 18-22, 2014. Albuquerque, NM. Campbell, R. “Linguistic Borders: A Qualitative and Quantitative Analysis of Learning about Linguistic Variation, Language Ideologies, and Identity in School: A Synthesis of Pilot Data for Dissertation Preparation.” American Anthropological Association Meeting. November 20–24, 2013. Chicago, IL. Campbell, R. “Pilot Research Steps Examining What American K-12 Students Are Taught about Linguistic Variation, Standard Language Ideologies, and Identity: Preparing for a School Ethnography.” American Anthropological Association Meeting. November 14–18, 2012. San Francisco, CA. 2012–2015 Development Council Member, Homeless Helping Homeless, Inc.
Campbell-Montalvo, R. “Health, Classroom Experiences, and Language in Florida Heartland Schools.” Live talk. Produced by the Collaboratory on School and Child Health, University of Connecticut. October 10, 2018. Campbell, R. Interview on STEM college education for women and underrepresented minority groups by René Herrera and Spencer Bockover. AnthroAlert. University of South Florida, Bulls Radio. December 15, 2017. Campbell, R. Interview on education in the Florida Heartland by René Herrera and Spencer Bockover. AnthroAlert. University of South Florida, Bulls Radio. July 7, 2017. Deubel, T. “Interview with Rebecca Campbell for Anthropological Linguistics.” University of South Florida. March 2016. Higgins, W. “Business in the Rough.” The Oracle. University of South Florida. May 2014. Lende, D. “This is Anthropology in Florida.” Neuroanthropology: Understanding the encultured brain and body. PLOS Blogs. 2011.